Got a dirty dog that’s itchin’ for cleaning? Have you heard about Unbreakable with Richie Sambora? The Michelin Man’s 2019 stars. Got a pup that can use a washing, but don’t have the space to give them a good cleaning? Head over to Brielle Dog Boutique, on Rt. 71 in Brielle, NJ. This very nice shop, with an even nicer staff, is a self-serve dog wash and grooming boutique. You don’t need to schedule an appointment — just show up with your little (or big) Benji and a smile. Brielle Dog Boutique provides everything you need to give your pooch a clean coat, and clean ears too! For $19.99 plus $5 for blowdrying — a must when the temp outside drops — it’s certainly worth it. Also at the event, the literary team from Manasquan’s Booktowne was on hand to sell copies of Marie Unaue’s book, The Adventures of Phatty and Payaso: Central Park. When it comes to book buying, make Booktowne your store! It’s located in downtown Manasquan, and the folks there are happy to help find the perfect book for you or a friend. 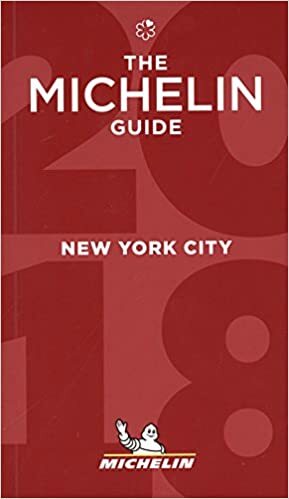 In early November, the 2019 Michelin stars were doled out to select NYC restaurants (and other major cities worldwide). This coveted rating is what every restaurant wants, deep down inside, since countless foodies reference Michelin guide book for their next culinary excursion, especially when coming up from the Shore! Did you know the Michelin stars and the inflatable tire guy from the commericals go hand in hand? Now we all know. Previous ArticlePinball Wizard, Tillys, Repair Instead of Buy, Oh My!